What is the trial judge's role in overseeing the testimony of expert witnesses? Unlike lay witnesses, whose testimony a jury can evaluate based on their own common sense and experience, expert witnesses offer conclusions based on practices and knowledge beyond the ken of the average juror. As a consequence, testimony by unpoliced expert witnesses can have a potentially prejudicial effect on jurors, who may be inclined to believe the experts solely because of their "expert status." How is the trial judge to know whether the expert is merely speculating, or whether the evidence on which the expert bases his or her conclusions is sufficient to support the conclusion? Judges certainly prevent lay witnesses from speculating and are expected to exclude the testimony of a witness offering wholly speculative evidence. Why should this mandate be any different when the witness purports to be an expert? If one accepts the proposition that the trial judge has a duty to exclude unreliable experts, a host of concerns inevitably follows. How is a trial judge to assess the scientific or technical adequacy of expert testimony if even a cursory understanding of the issues requires specialized training? Can anyone without such training fully understand the issues and come to a rational conclusion as to their validity? To what degree can the trial judge rely on the expert's own assertions about his or her qualifications? All of these concerns carry heavy weight for in many cases the trial judge is hardly a more qualified assessor of scientific credibility than the jury itself. In this introduction and the papers which follow it we have laid out some possible answers to the myriad questions concerning judicial gatekeeping. This first paper attempts to establish a historical perspective on gatekeeping in Rhode Island. The papers which follow it give a more generalized picture of the gatekeeping debate. Ultimately we hope that you find these materials helpful in formulating or fine tuning your own approach to science in the courts. In 1923, the D.C. Circuit announced its landmark decision regarding the admissibility of expert opinion testimony on novel scientific procedures in Frye v. United States. (1) In Frye, the defendant attempted to show his innocence by proffering the results of a lie detector test that purportedly demonstrated that he was telling the truth when he denied killing the alleged victim. The court ruled that the evidence was inadmissible because the scientific principles upon which the procedure was based were not, "sufficiently established to have gained general acceptance in the particular field in which it belongs. (2)" This so-called Frye general acceptance test remained the standard employed in both federal courts and state courts around the country for years to come. With the adoption of the Federal Rules of Evidence in 1975, courts, scholars and practitioners alike began to question whether Frye would survive as the sole admissibility standard for expert testimony. Under the Federal Rules, judges were seemingly afforded more discretion in making admissibility determinations. Rule 104(a) assigns judges the responsibility of making a preliminary determination on whether to allow a given expert to testify. Rule 702 goes on to guide this decision by requiring the judge to determine whether the admission of such testimony will assist the trier of fact to understand evidence or determine a fact at issue. Finally, Rule 403 suggests that the judge must exclude evidence if its likely prejudicial effect outweighs its probative value. The question was then to what degree would the arguably conservative Frye general acceptance standard survive in the wake of the presumably more liberal admissibility framework embodied in the Federal Rules of Evidence. This nonexhaustive list of indicia of reliability relegated the Frye standard to one of only a handful of guidelines to be employed in ruling on admissibility. In conjunction with the newly ordained relevancy prong, the reliability criteria form a substantially more robust framework with which to analyze given scientific testimony. Although Rhode Island Rule of Evidence 702 is essentially identical to the Federal Rule 702 which superseded Frye, Rhode Island has not yet embraced wholeheartedly the evidentiary framework laid out in Daubert. Instead, Rhode Island has chosen to blaze its own trail in regards to how its courts should address the role of judges as judicial gatekeepers. Judicial gatekeeping in Rhode Island can trace its history as far back as State v. Nagle(6) decided twenty years before Frye. (7) In Nagle, a murder trial, the prosecution offered the testimony of a medical examiner to prove that the fatal gunshot wound was not self-inflicted. The court admitted the testimony while noting that its probative value was based solely upon the skill, accuracy, and honesty of the medical examiner and the tests he had conducted. This seems to be the first instance of a Rhode Island court suggesting that scientific testimony must be verifiable before it is admissible. (8) Although initially ahead of the curve in exploring questions of expert admissibility, Rhode Island did not formulate a modern "general acceptance" test akin to Frye until State v. Gregoire(9) in 1959. In Gregoire the state supreme court endorsed the "general acceptance" idea in dicta, but refrained from citing Frye. Instead, the court chose to rely on Wigmore's treatise to support its overall assertion that, "judicial reliance upon such a device [an Alcometer] depends upon general acceptance of its reliability by experts in the relevant scientific field. (10)" While not a wholehearted embrace of Frye, Gregoire's tacit endorsement of the general acceptance criterion shaped the debate over admissibility of scientific testimony in Rhode Island for years to come. In a similar departure from the strict "general acceptance" standard the Rhode Island Supreme Court ruled in Powers v. Carvalho(14) that lie detector results would be admitted, ". . . only if a foundation has been laid establishing the acceptance of the evidence as reliable and accurate in the relevant scientific fields of endeavor and of the qualifications or the expertise of the person who operated the device and interpreted its results. (15)" This reformulation of basic general acceptance doctrine marked the first time that the state supreme court suggested that the party seeking admission of expert testimony must demonstrate both that the underlying theory was valid and that the technical application of the theory was reliable. (16) Interestingly, the court again avoided citing to Frye for its assertions regarding general acceptance and chose instead to cite to Gregoire and Wigmore. It would not be until State v. Wheeler(17) in 1985 that Rhode Island would analyze Frye directly. In ruling that the trial judge was correct in admitting the spectrography evidence, the state supreme court asserted that helpfulness to the trier of fact should be the key consideration in determining issues of admissibility of expert testimony. (19) In coming to this conclusion the Wheeler court indicated that the trial judge must first, "consider whether the testimony sought is relevant. (20)" Next, the trial justice must consider whether, "the subject matter is one on which expert testimony is appropriate. (21)" Consistent with Morgan, the Wheeler court noted that trial judges should be mindful of jurors' tendencies to give more weight to the testimony of court-ordained experts. (22) Along these lines, the court asserted further that determinations of experts' qualifications are addressed to the sound discretion of the trial judge and should not be disturbed absent a showing of abuse. (23) Finally, the court noted that when considering the helpfulness of actual testimony the trial judge must find that the testimony offered is of "substantial probative value. (24)"
Despite its sweeping discussion of Frye and enumeration of a fairly well-developed, Daubert-like balancing test, the Wheeler court neither directly endorsed nor repudiated the Frye general acceptance standard. (25) Since Wheeler, no real consensus has emerged as to how Rhode Island courts should apply these differing standards. Rule 702 and Quattrocchi: Is Daubert on the Way? The Advisory Committee notes to Rule 702 seemed to predict that the adoption of this measure would sound the death knell for Frye. The Committee opined that the Rhode Island Supreme Court has "declined to apply the outdated and restrictive (Frye) standard;(27)" and, rather, "applied a more open relevancy/helpfulness approach that combines the principles of Rule 401 (relevancy) and 702 (helpfulness) in a Rule 403-type of balancing. . . . consistent with the modern trend under the federal rules. (28)" Two years later, however, the Rhode Island Supreme Court in State v. Dery(29) would prove Frye's death watch a bit premature by relying explicitly upon the general acceptance language in Frye to exclude exculpatory testimony based on lie detector results. In noting that the overwhelming weight of authority had rejected the admissibility of polygraph evidence, Justice Weisberger writing for the court both endorsed the Frye test by name and applied its form of analysis to the facts at issue. (30) This full retrenchment of Frye would prove short lived. A mere six months after Dery, the court in State v. Walters(31) (again per Justice Weisberger) reasoned that the admissibility of evidence of bullet trajectories required, "sufficient indicia of reliability so that it will contribute to the search for truth as opposed to exercising its potential to mislead the jury. (32)" More importantly, the court noted that although this case was tried prior to the adoption of Rule 702, the evidence would have been excluded under that standard as well. The court explained that according to Second Circuit in Williams, the criteria for admissibility under Federal Rule 702 included, "probativeness, materiality, and reliability of the evidence, on the one side, and any tendency to mislead, prejudice, or confuse the jury on the other. . . .(33)" Similarly, in State v. Gomes(34) the state supreme court shied away from the general acceptance standard and instead relied upon Rule 403's probative/prejudicial test to exclude novel expert testimony as to the unreliability of eyewitness accounts. Once again the state supreme court seemed to acknowledge that Frye, while certainly valuable as a tool for evaluating novel expert testimony, was not the only means by which judges could scrutinize expert testimony. Ultimately, there exists no clear standard to be employed in arguing the admissibility of expert testimony in Rhode Island. Frye retains much of its vitality and is still a major if not controlling factor in determining admissibility. At the same time, the recent trend has been to give at least tacit approval to Daubert and its Federal Rules-based framework. 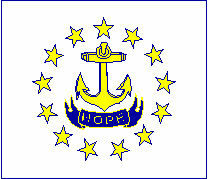 Whether one or the other approach will gain favor in Rhode Island's courts remains to be seen. While Rhode Island and other states were attempting to address how Daubert related to their respective state jurisprudence, the U.S. Supreme Court was busy attempting to clarify its holding in Daubert. Recently, in General Electric Co. v. Joiner(47) the U.S. Supreme Court determined that the "abuse of discretion" standard is the proper standard of review for a trial court's decision to admit or exclude expert testimony under Daubert. In Joiner an electrician sued the manufacturers of a coolant used in electrical transformers which he occasionally came into contact with when repairing power equipment. He alleged that although he was a smoker with a history of lung cancer in his family, his exposure to the PCBs. furans, and dioxins in the coolant "promoted" his development of small cell lung cancer. (48) The defense removed the case to federal court and moved for summary judgment based partly on the contention that, "there was no admissible scientific evidence that PCBs promoted Joiner's cancer. (49) The district court granted summary judgment on the basis that, "the testimony of Joiner's experts had failed to show that there was a link between exposure to PCBs and small cell lung cancer. (50)" They further went on to conclude that the testimony of Joiner's experts did not rise above subjective belief or unsupported speculation, and therefore, should not be admitted into evidence. (51) The Court of Appeals for the Eleventh Circuit reversed the district court's holding and reasoned that, "because the Federal Rules of Evidence governing expert testimony display a preference for admissibility, we apply a particularly stringent standard of review to the trial judge's exclusion of expert testimony. (52)"
By upholding a judge's right to exclude given expert testimony on the basis of perceived analytical gaps in the science is an unprecedented broadening of the gatekeeper role. Such a ruling at first seems to run contrary to the "liberal thrust" of the Rules of Evidence as articulated in Daubert. It remains to be seen whether courts will be as deferential when judges exercise their discretion in favor of admissibility of arguably questionable scientific evidence. How Joiner will effect Rhode Island and states like her that employ the abuse of discretion standard also remains to be seen. 5. See Id. at 1796-7. 6. 25 R.I. 105 (1903). 7. See Thomas Lyons, Frye, Daubert, and Where Do We Go From Here?, 45-JAN R.I. B.J. 5, 29 (1997). 9. 88 R.I. 401, 148 A.2d 751 (1959). 10. 88 R.I. at 407 cited in Lyons, 45-JAN R.I. B.J. at 28. 11. 105 R.I. 13, 249 A.2d 48 (1969). 12. 105 R.I. at 18 cited in Lyons, 45-JAN R.I. B.J. at 29. 13. Lyons, 45-JAN R.I. B.J. at 29. 14. 109 R.I. 120, 281 A.2d 298 (1971). 15. 109 R.I. at 126 cited in Lyons, 45-JAN R.I. B.J. at 29. 16. See Lyons, 45-JAN R.I. B.J. at 29. 18. See Lyons, 45-JAN R.I. B.J. at 30. 19. See 496 A.2d at 1388. 20. 496 A.2d at 1388. 22. See Wheeler, 496 A.2d at 1388 citing Morgan, 105 R.I. at 18. 23. See Wheeler, 496 A.2d at 1388 citing State v. Fogarty, 433 A.2d 972 (R.I. 1981); Leahey v. State, 121 R.I. 200, 397 A.2d 509 (1979). 24. See Wheeler, 496 A.2d at 1388 citing Montouri v. Narrangansett Electric Co., 418 A.2d 5, 10 (R.I. 1980). 25. See Lyons, 45-JAN R.I. B.J. at 31. 27. See Lyons, 45-JAN R.I. B.J. at 31 citing Advisory Committee Note to Rule 702. 28. Id. citing United States v. Williams, 583 F.2d 1194, n. 34 (2d Cir. 1978). 29. 545 A.2d 1014 (R.I. 1988). 30. See Lyons, 45-JAN R.I. B.J. at 31-2. 31. 551 A.2d 15 (R.I. 1988). 32. See Lyons, 45-JAN R.I. B.J. at 32 citing Walters, 551 A.2d at 18. 33. Id. citing United States v. Williams, 583 F.2d at 1198. 34. 604 A.2d 1249 (R.I. 1992). 35. 632 A.2d 647 (R.I. 1993). 37. 672 A.2d 457 (R.I. 1996). 38. See Id. at 459. 42. Id. at 884 citing Wheeler, 496 A.2d at 1386-8. 44. See Id. at n. 2. 46. See Id. at 884. 47. 118 S. Ct. 512 (1997). 48. See Id. at 516. 51. See Id. citing General Electric Co. v. Joiner, 865 F. Supp., 1310, 1326 (N.D. Ga. 1994). 52. General Electric Co. v. Joiner, 78 F.3d 524, 529 (11th Cir. 1996) (emphasis added). 53. Joiner, 118 S. Ct. at 517 (citations omitted). 54. Id. at 518 (citations omitted).